What’s Hot in Amethyst Jewelry This Year? 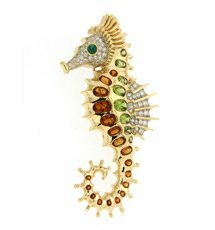 With ultraviolet announced as the color of the year, the masses are pouring over the violet gem section looking for jewelry to add to their collection. 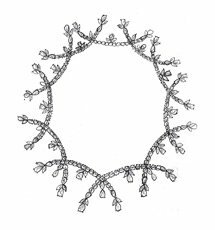 If you are in the process of building your personal 2018 jewelry collection, then you probably have already examined the options. In purple, two gems ace, namely amethyst and tourmaline. Other less popular options are charoite, sugalite, and alexandrite. To direct you towards the most popular pick this year in purple, amethysts are sterling mineral crystals that range from deep purple to impenetrable violet. The birthstone for February-born people, Amethyst stands for clarity of vision and intelligence, and if the old master Da Vinci is to be believed, it is the talisman against evil. Amethyst is scoring high on almost all quarters of the gallery this year. 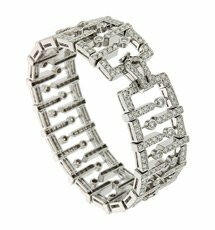 If you are not in search of a particular piece of jewelry, then take your time to venture into a gamut of purple jewelry each of which is a treasure to own. Let’s start with the simplest specimen, a set of studs. 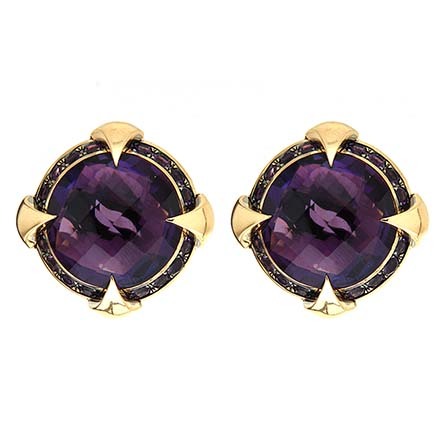 Set with decent sized amethysts, these studs feature regular four-prong settings to basket settings, depending on the design and stone-cut. Available in round, princess and other fancy cuts, these studs are quarter in price when compared to diamond studs and equally superb in aesthetics. If you like color in your studs and violet is your color, then by all means, start by acquiring a pair of dazzling amethyst studs. Moving on to finer items, amethyst drop earrings are wildly popular this year. 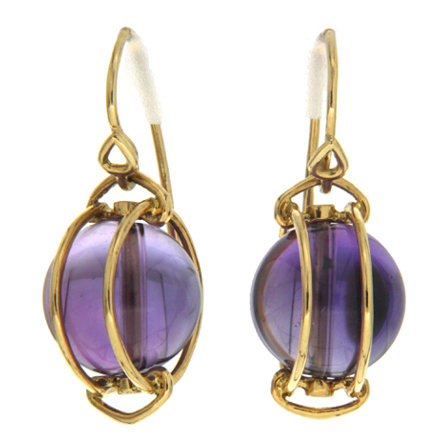 After emerald, it is amethysts that have acquired a center spot in drop earrings. Designed with a simple hook or leverback clasp, these earrings are a prize to own. Designed mostly in platinum, these drop earrings are at once gorgeous and dainty. Despite the generous size of the gemstones, their slight frame and simple design make them sophisticated and stunning. Anybody who has a fetish for cocktail rings will find themselves spoilt for choice this year. 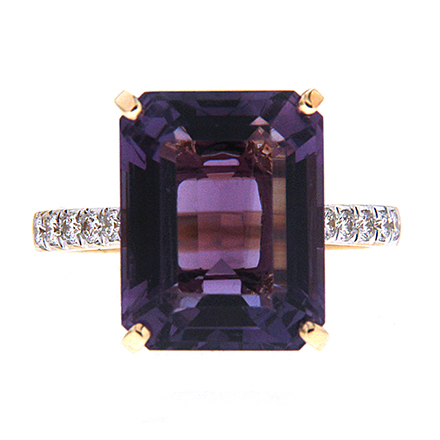 With violet becoming the official color of 2018, the cocktail ring section has been largely replaced by amethyst rings. Swirl, cleaved, cathedral, halo, the motifs are endless. 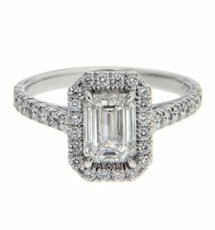 There is so much to peruse and acquire in the cocktail ring section at this point that you probably have to go back more than just once before you know you have all you wanted.